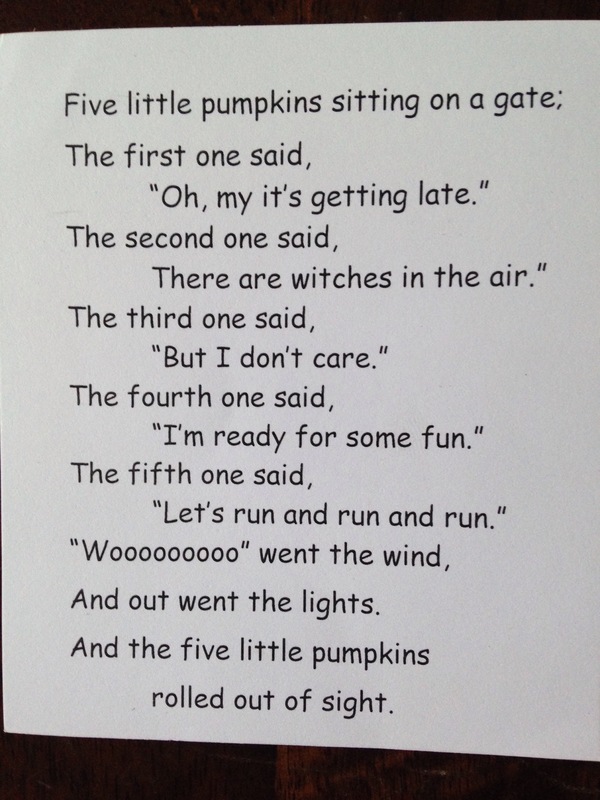 Do your kids love the Five Little Pumpkins rhyme? When my kids were tiny they adored every holiday nursery rhyme and tune available. A Halloween favorite was always Five Little Pumpkins. They’d sing it in music class, as preschoolers and even as Kindergartners as the hand gestures were always a big win for this one! 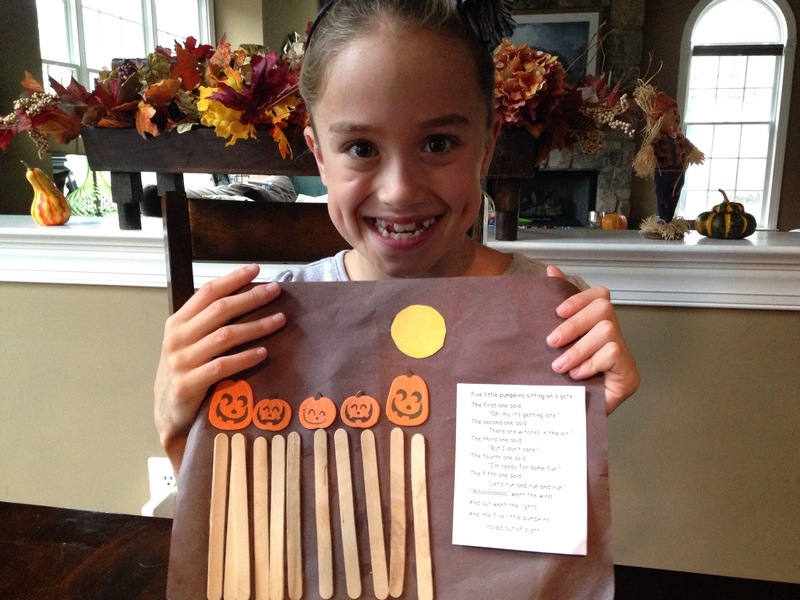 Check out our below idea for Five Little Pumpkins Poem and Crafts so you can make this tune tangible for your kids and create a cute holiday decoration and reminder as the kids get older about a favorite “Halloween Tune”. 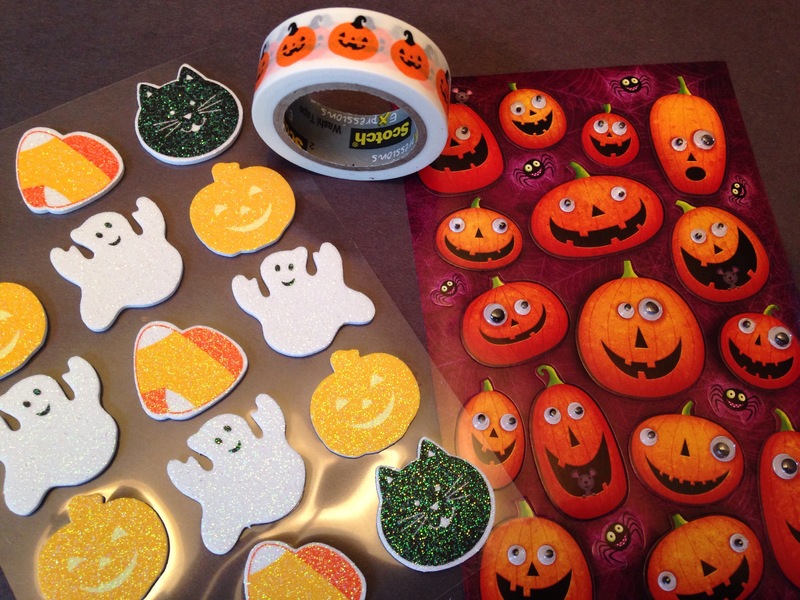 You can see below just how simple it is to make this fun Halloween decoration with the kids. If Mom does her prep in advance, the kids can whip this up in minutes. You can purchase your basic craft supplies at Walmart or you might even have all your need in your own craft closet. The only more unusual item is popsicle sticks, but we keep a package of these in our craft closet as the kids always have a field day making projects with popsicle sticks so I know it’s something to keep stocked in our closet for a rainy day full of crafting! This is truly super easy for the kids to make. 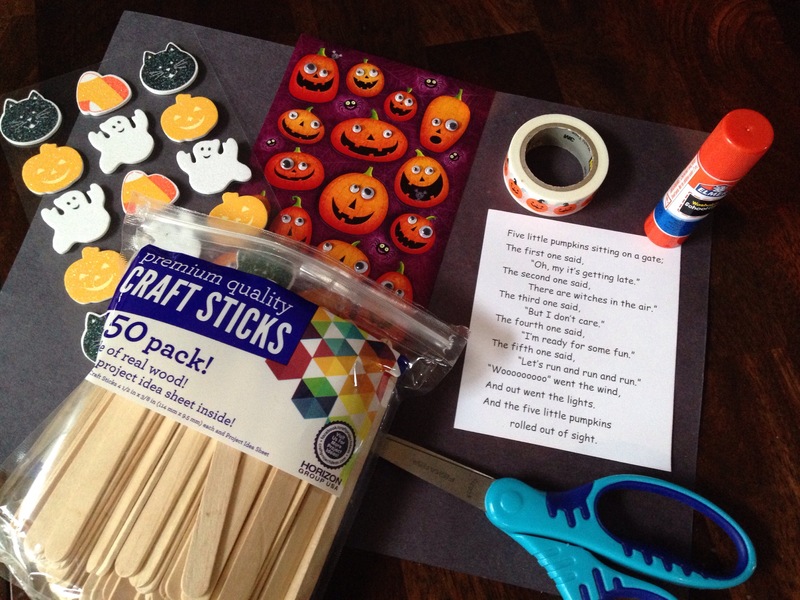 And if you don’t have any stickers, the kiddos – or Mom – can always draw little pumpkins to sit on the popsicle stick fence post. You can type this out in advance and then print it up so your children can easily glue it onto their construction paper. 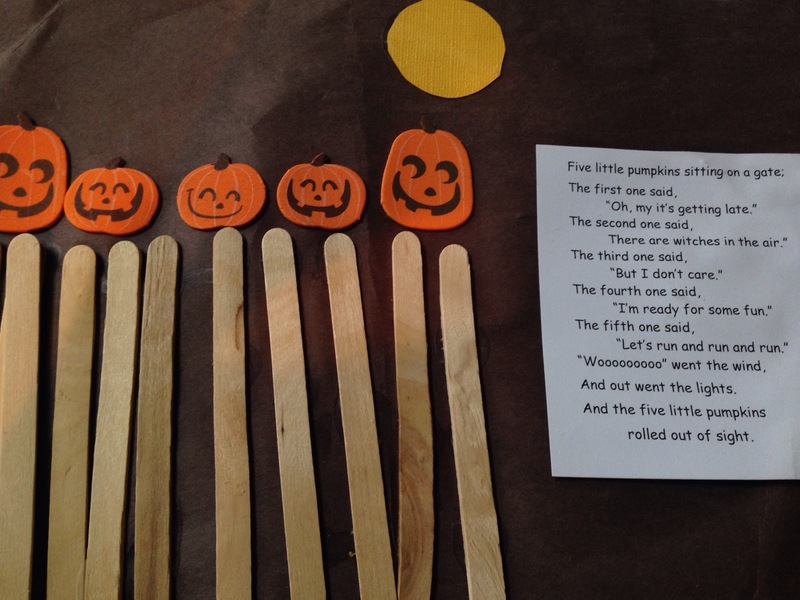 And if you’d rather not include the poem, younger kids might just enjoy making the fence and then adding the pumpkins.